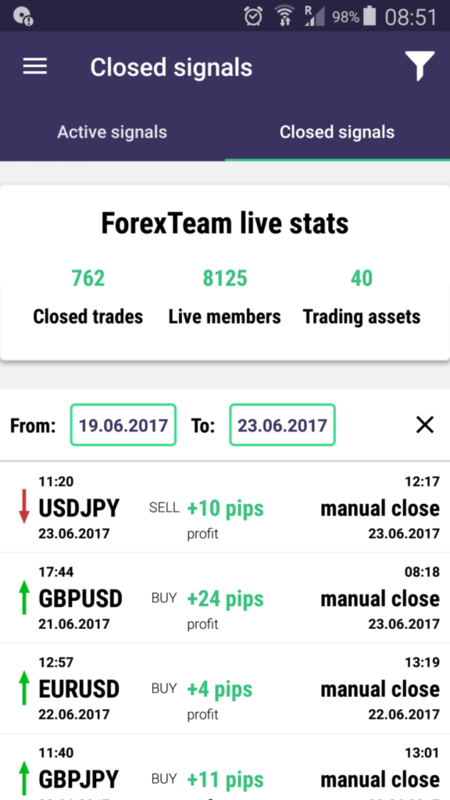 briefly about ForexTeam trading performance. All ForexTeam closed orders you can find in ForexTeam app in menu “Closed signals” (see the picture below). Our registered member from India sent us his today’s automated trading performance, he copy our free forex signals automatically in his Metatrader 4 account. His today’s (16.05.2017) passive forex income is 161,11 usd. Kumar आप भाग्यशाली लड़के हैं !